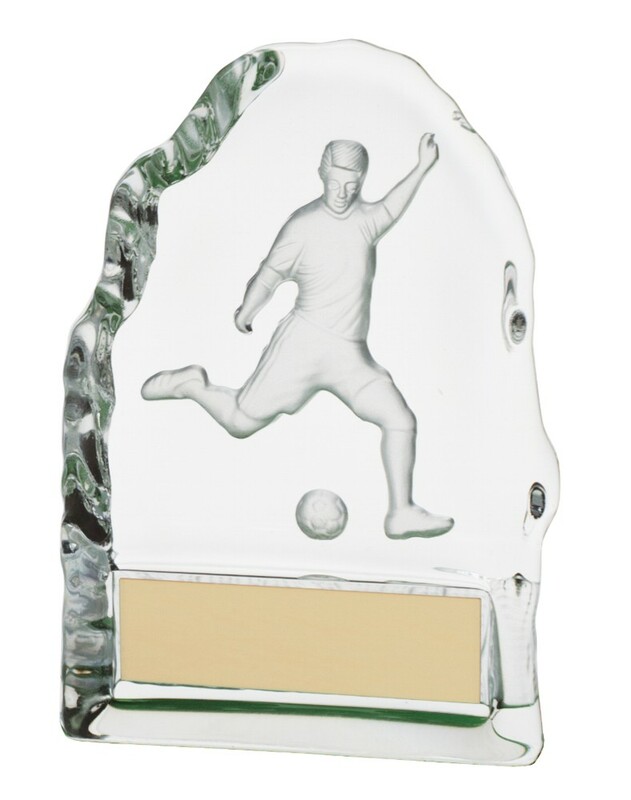 The Crystal Challenger Football Figure Awards are very unique, it has a lasered 3D football figure/player inside the iceberg crystal. The larger size is mounted on a crystal base. Available in 2 sizes 110mm and 130mm high it comes compete in a presentation box. Engraved plate attached and included in the price.